In extension our 1st task of the year was to design all the important informations about you. As you can see there is a picture above. The first picture it shows a rugby goal post and a volleyball net. Those two sports are one of my favourites. It is fun to play and we play it a lot in our family. The second picture is a picture of the Samoan flag. Under the Samoan flag there its a thing called a 'ava. The Samoans do it a lot, it is for a special occasion. There are 3 objects in the 'ava. The bowl is called a Tanoa, the cup is called a Ipu tau ava and the strainer is called a Fau. The third design is of a Bible and a Cross. Which means that I believe in The Lord and I go to church. I go to Tamaki P.I.P.C. I bet your wondering what does P.I.P.C means? It means Pacific Islanders Presbyterian Church. My grandpa is the minister of that church. He knows lots about God. And the last design is of my Netbook. I really love my Netbook. It is very fun to work with, better than a pencil and a paper. My fingers never get tired from a Netbook. My Netbook is very special to me as well. And that is my design about me. 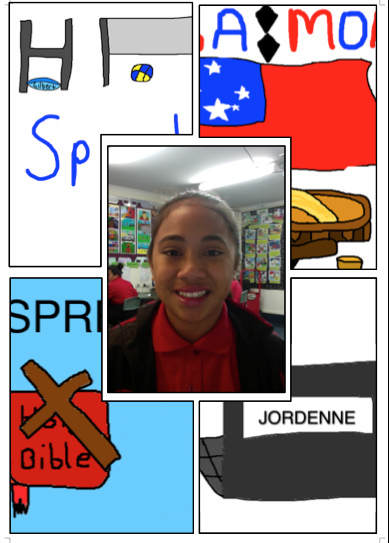 Great work Jordenne. Thank you for explaining what your designs were about. It was informative and interesting. Well done. 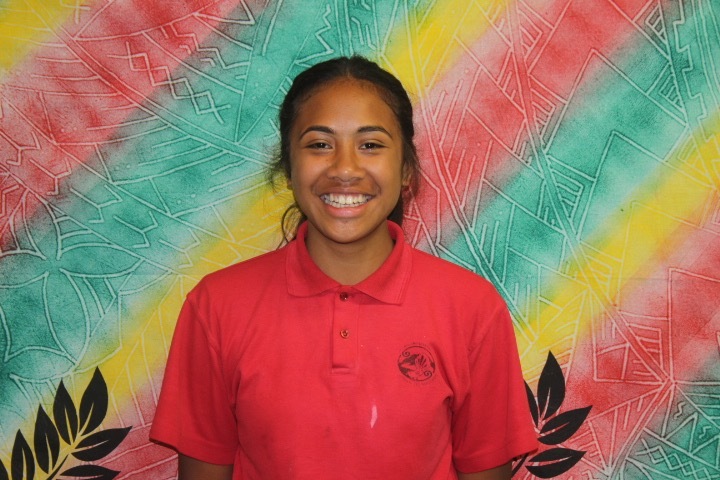 Talofa Jordenne, it's wonderful to read that you know a lot of detail about your culture. I look forward to seeing how you will put this into action when you become year 8. Malo lava.